These Skincare Brands Trust Lalamove and So Should You! This brand needs no introduction. As the frontrunner not only in the skincare but in the whole medical cosmetics industry, the Belo Medical Group is undoubtedly one of the most trusted brands when it comes to beauty and wellness in the country. To give their customers top-notch service across all of their locations, they have to make sure that each branch is well-stocked with caliber skincare and wellness products. Good thing Lalamove is here to help them move their stocks to keep their customers happy! It goes without saying that quality brands do know other quality brands to work with. Equipped with a complete line of natural, toxic-free high-quality products that are USA manufactured, Wildleaf is shaking up the skincare industry by introducing products that are not only good for the skin, but for their customers health as well. To do this, they have to keep their products safe from contamination while en route to their stores and sometimes, even their customers. Given this, Lalamove’s free insulated box available in the motorcycle fleet really becomes handy. With this, Wildleaf can ensure that all their products will not only arrive fast, but safely as well. Online selling of skincare products are all the rage these days but no one does it quite as professional as Vanity Center Skin Specialist. 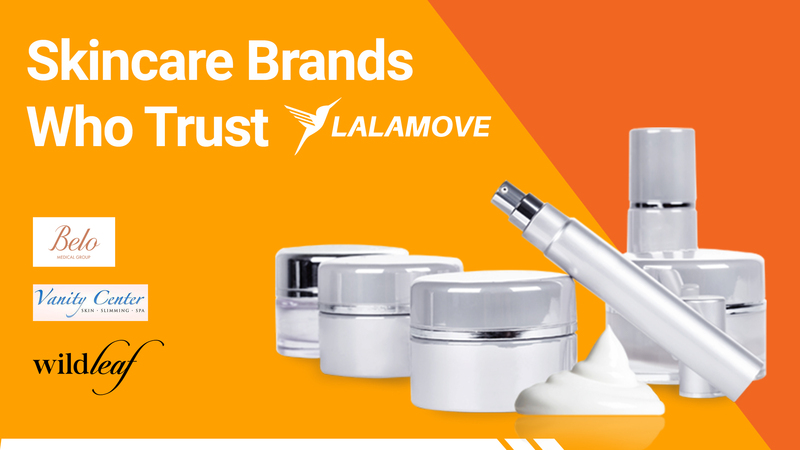 They provide aesthetic devices for Professionals and Consumers here in the country, and to serve their customers best, they trust Lalamove’s caliber on-demand delivery service to meet their demands. Using a variety of features such as Purchase Service and Roundtrip, Vanity Center Skin Specialist is able to make their operations a lot smoother. And as a corporate client, they have a dedicated support team which helps them in their transactions. Talk about a deal! May it be B2B or B2C, big or small, Lalamove’s services can really help any business achieve their desired growth. Want to be one of these brands?